If you only have one day to discover Auckland, this tour squeezes in as many must-see sights as possible. 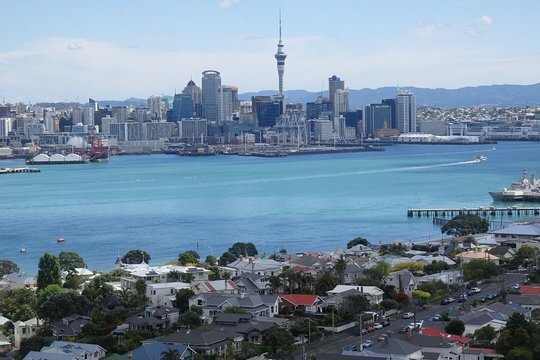 See the Sky Tower and Auckland Harbour Bridge, explore neighborhoods such as Ponsonby and Devonport, and take in the views from One Tree Hill, then spot gannets at Muriwai Beach and enjoy wine tasting along the Kumeu wine trail. After hotel pickup, set out to discover Auckland by air-conditioned minibus, starting with a scenic drive along the North Shore. 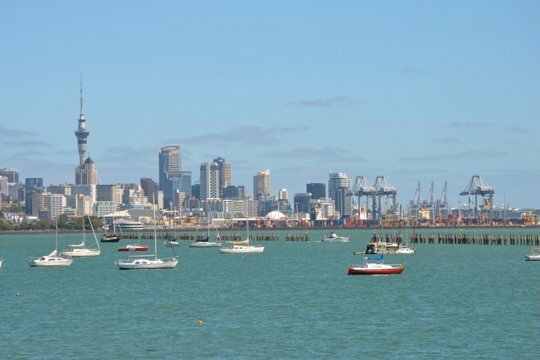 Stop to take photos of the famous Auckland Harbour Bridge and Waitemata Harbour, en-route to Devonport, then hop out to stroll the seafront promenade. Continue along the coast, stopping at lookout points such as North Head, from where you can spot Rangitoto Island; Misson Bay, and Bastion Point. 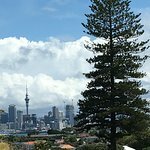 Back in the city, pass Viaduct harbour and the Sky Tower, before taking a walk around the beautiful parks of One Tree Hill and the Auckland Domain. Visit the popular Ponsonby neighborhood for lunch at a local restaurant (own expense) and some time to browse the many boutiques and galleries. Then, pay a visit to Muriwai Beach, home to one of New Zealand’s most important Gannet breeding colonies. 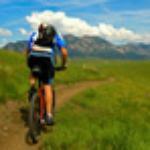 End your tour with wine tasting in the Kumeu wine region, before being dropped back at your hotel. 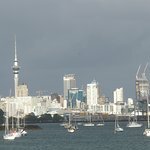 Get quick answers from Full-Day Auckland Scenic Tour staff and past visitors. Can we buy lunch along the way?